SARG is responsible for the recording of reptiles and amphibians in both the modern county (for simplicity) and the Watsonian Vice County (for historical consistency). In practice this means that SARG covers the the whole of the modern county of Surrey together with the Greater London Boroughs of : Richmond; Kingston; Sutton; Croydon; Southwark; Merton; Wandsworth and Lambeth. See below for an explaination of why this area is covered. 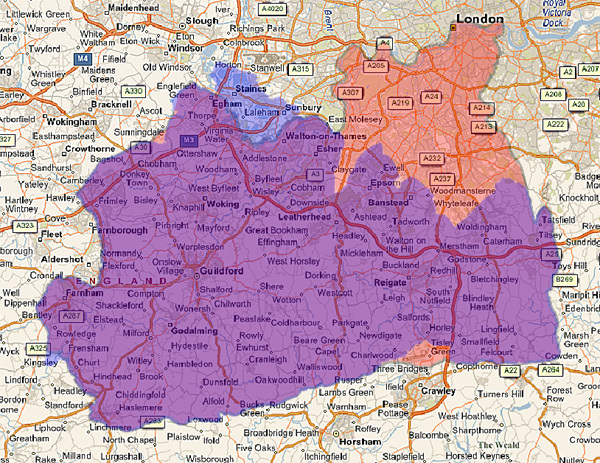 The county of Surrey has a political boundary that changes over time. Biological recording in the UK is traditionally organised by county. This has several advantages; the main being that the county recorder will be familiar with the area and will immediately realise the significance of records received. The shifting of county boundaries over the course of time can be inconvenient! One solution to this problem of changing boundaries is to fix the boundary at a certain period of time. 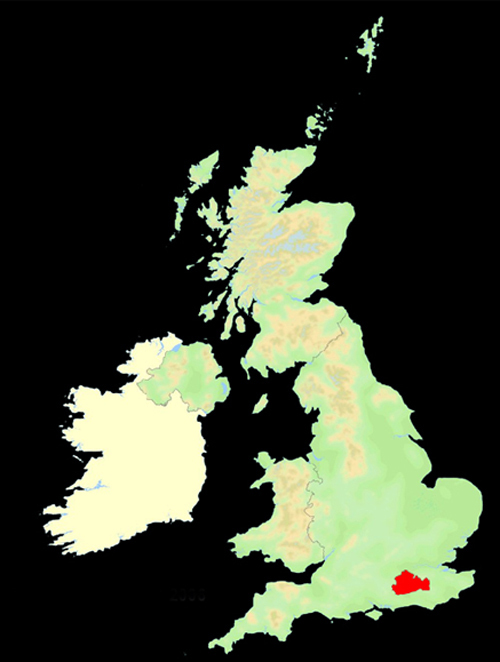 By convention this time was 1852 when Hewett Cottrell Watson defined his 'Vice Counties' of Britain. Watson also numbered and sub-divided some of the larger counties such that each Vice County to be of comparible area. 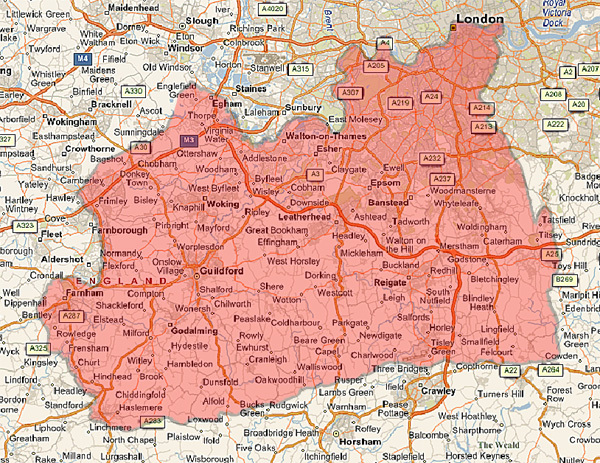 The Vice County of Surrey has the number 17 and covers an overlapping but slightly different area than the modern county of Surrey. It is interesting to note that in 1852 there was no county of London!